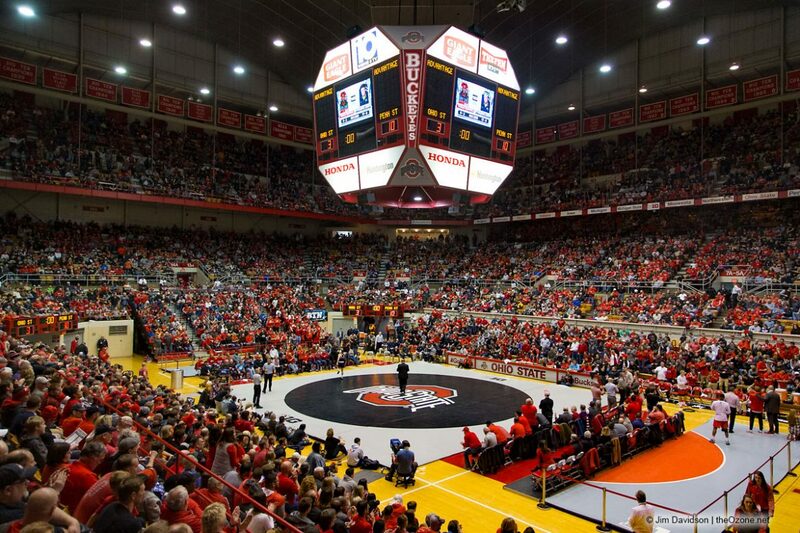 The Buckeyes, facing the #1 Nittany Lions, sold out the venerable St, John Arena, cramming 13,276 fans to the rafters for wresting for the first time in the venue’s history. Unfortunately, Ohio State was only able to muster three match victories on their way to a 28-9 defeat to Penn State Friday night. Better luck next match, Buckeyes!